Another popular Mahone Bay event is the annual Scarecrow Festival in the fall. 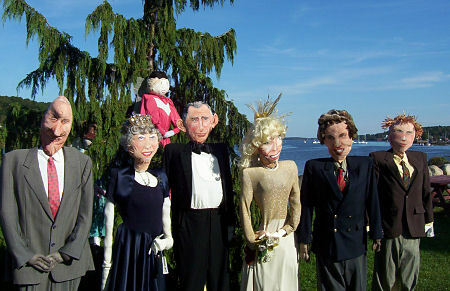 In 2005 the Royal Family appeared, and apparently Charles and Camilla renewed their vows on the waterfront. Princess Di bestows her blessing from above.